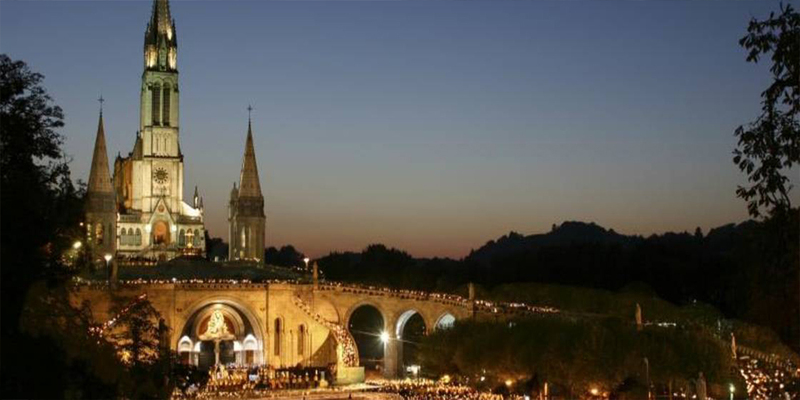 Lourdes is a town in southwestern France, in the foothills of the Pyrenees mountains. 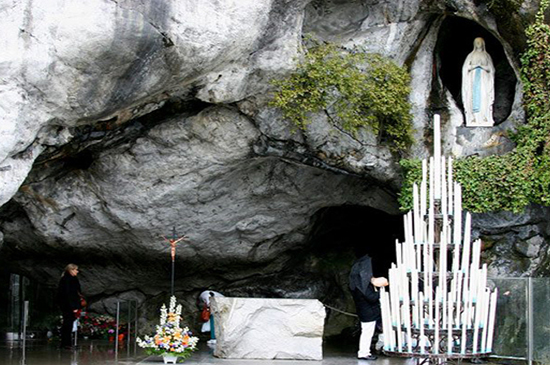 It’s known for the Sanctuaires Notre-Dame de Lourdes, or the Domain, a major Catholic pilgrimage site. 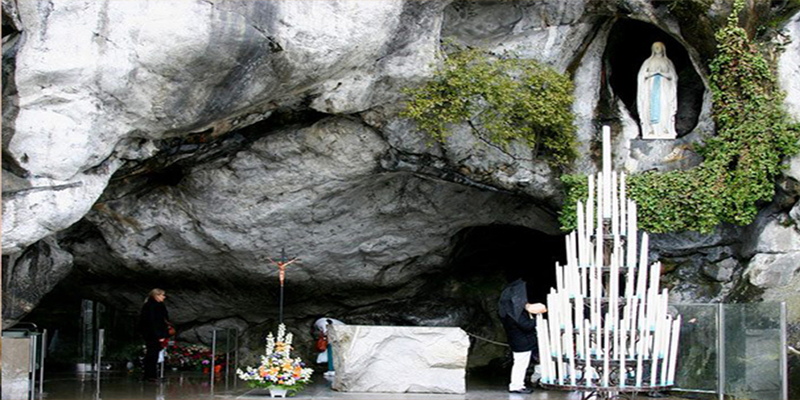 Each year, millions visit the Grotto of Massabielle (Grotto of the Apparitions) where, in 1858, the Virgin Mary is said to have appeared to a local woman. In the grotto, pilgrims can drink or bathe in water flowing from a spring. Group report to Bandaranayke International Airport. 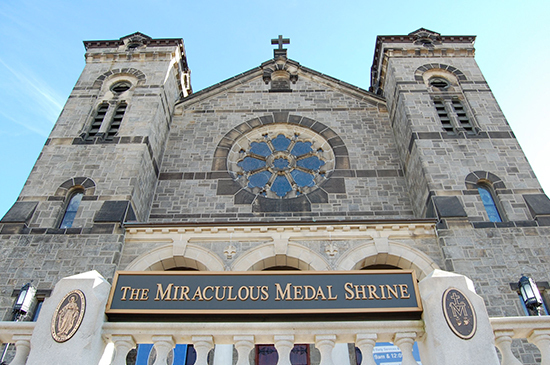 Visit Miraculous Medal Church (Miraculous Medal Church (Rue Du Bac Chapel) is the chapel where the Blessed Virgin Mary appeared to Saint Catherine Labouré in 1830 and requested the creation of the medal which came to be known as the Miraculous Medal. Check in at Nevers hotel. Overnight stay at Nevers hotel. Visit St.Gildard’s convent (Bernadette Soubirous, a humble daughter of a miller was venerated as a Saint for her deeds and for her undying faith of Catholicism. 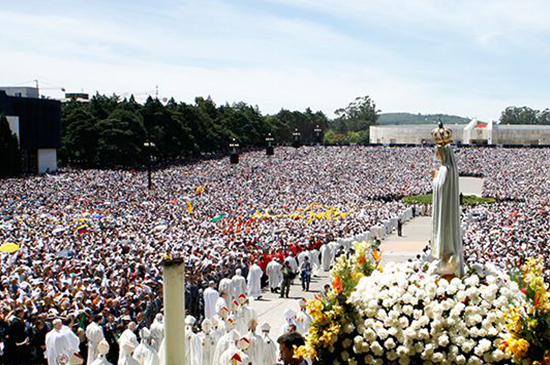 She is most famous for witnessing the Marian apparitions. 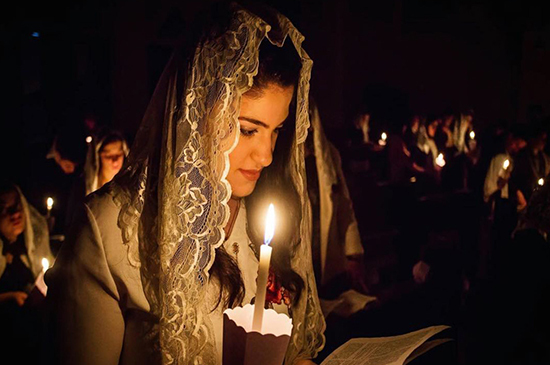 Her incorruptible body now lies in an ornate golden casket in the convent where she spent most of her life in devotion of the lord. Check in at hotel in Lourdes. 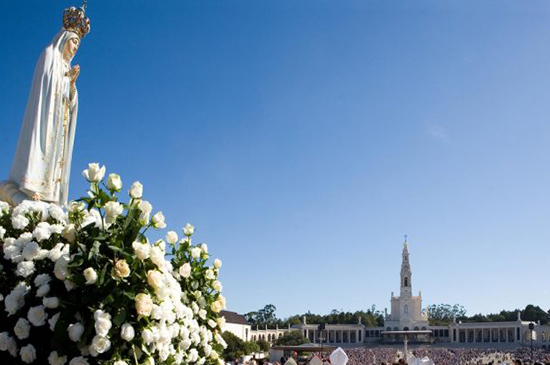 Visit Lourdes grotto and shrine - Our Lady of Lourdes is a Roman Catholic title of the Blessed Virgin Mary venerated in honor of the Marian apparitions that reportedly occurred in 1858 in the vicinity of Lourdes in France. 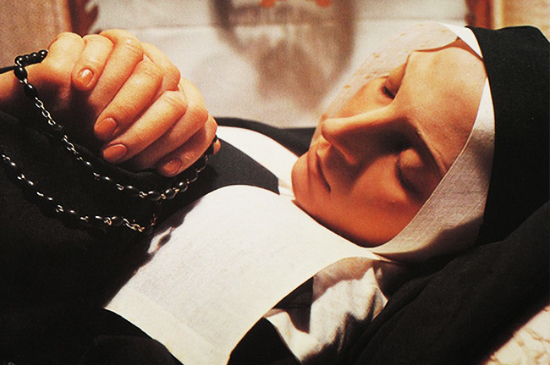 The first of these is the apparition of 11 February 1858, when 14-year old Bernadette Soubirous told her mother that a "lady" spoke to her in the cave of Massabielle. Drive to Santiago de compostelle (6 hours and 45 mins). Arrive to Santiago de compostelle. 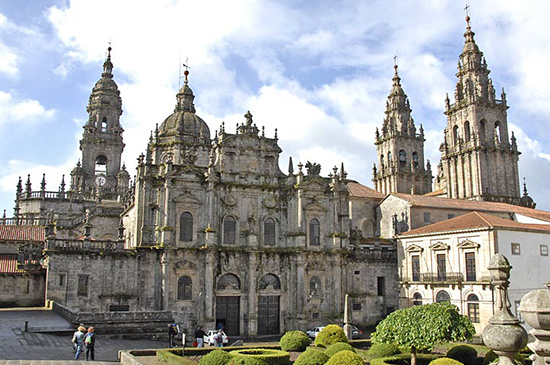 Visit Santiago de compostelle—Medieval pilgrims walked the Way of St. James for months to arrive at Santiago Cathedral, home of the relics of St. James in Santiago de Compostela. Drive from Fatima to Lisbon. 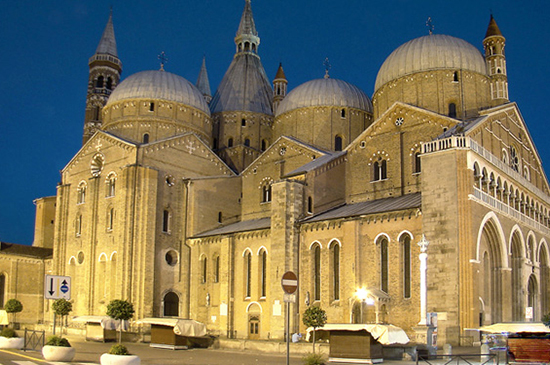 Visit St. Anthony’s birth place—Santo Antonio (better known as Saint Anthony of Padua), revered as a matchmaker, protector of young brides, and patron of the lost and found, was actually born in Lisbon, on the site of this church. 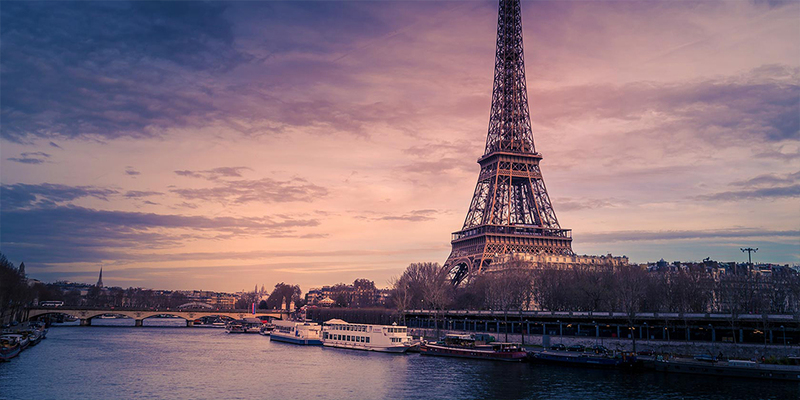 Foreign passport Holders should obtain their Travel Insurance from their country of residence. If payments are made by a Credit Card please check with your Bank for the free Travel Insurance cover, minimum of US $ 50,000 is required. You could also purchase it through Skyline Travels. US $ 75,000 Coverage , premium due for the policy is subject to change as per the Insurance Agency. International and Domestic Return Air Fare. 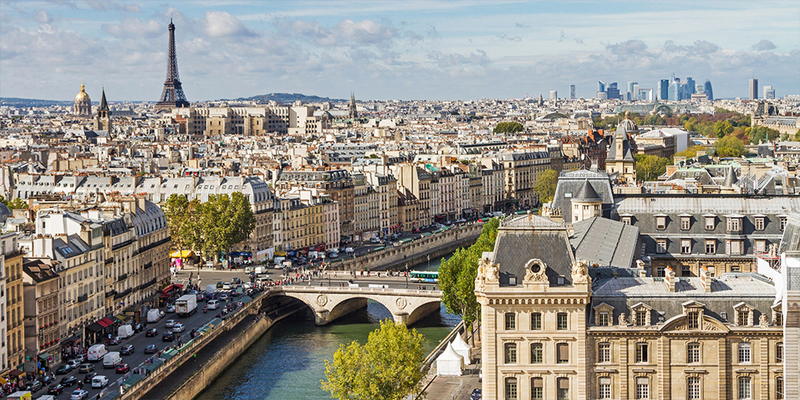 Schengen visa and handling charges. Accommodation at 3 star Category Hotels. Meals - Breakfast / Lunch / Dinner (as per the itinerary). Travel Insurance covering upto 65 years. Arrival/Departure/Transfers by Deluxe A/C Coach. Tips for Driver / Guide/ Airport Representative / Hotel Staff etc.. Furthermore I’m also aware that I’m not entitled to any refund / unutilized service /due to return to your destination before accomplishing of tour. I acknowledge that I am aware that Flight cancellations or inconvenience caused directly or indirectly by force majeure / acts of God the airline or Skyline Travels will not be responsible in providing accommodation, I understand all such expenses will be borne by me. I’m also aware that my passport should be valid for at least for seven (07) months from the date of travel. If not, I also agree to renew my passport and forward it to Skyline Travels two (02) months prior to the departure. If the payment is made by Credit Card I also agree to pay an addition of 3.5% as administrative fee. I’m aware that I should arrive at least 24 hours prior to departure of tour in Sri Lanka to avoid misconnecting flights due to my delayed arrival and due to any rescheduling / early departure of flights. And on my return too after accomplish of my trip, my departure from Sri Lanka to my destination would be after 24 hours (This will avoid missing my onward flights to my destination due to late arrivals of my flight /flight schedule.